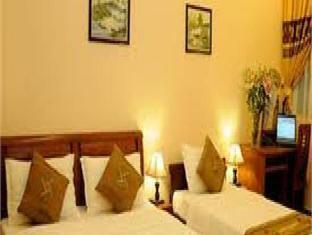 The Travelmate Hanoi Hotel is perfectly located for both business and leisure guests to Hanoi. 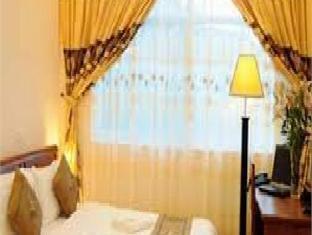 The Travelmate Hanoi Hotel has a total amount of 25 well-appointed rooms designed with the guests' comfort in mind. Room amenities include non smoking rooms, air conditioning, daily newspaper, inhouse movies, desk, hair dryer. Guests staying at this Hanoi accommodation can enjoy a wide range of hotel facilities such as 24hr room service, shops, coffee shop, laundry service/dry cleaning, meeting facilities, restaurant, room service. Modern comfort and convenience are seamlessly combined to ensure the guests' satisfaction. Being one of the good quality hotels in Hanoi, guests staying at this hotel will find its convenient location and tranquil atmosphere pleasurable. To book a room at the Travelmate Hanoi Hotel, please select your dates of travel and complete fill out our secure online reservation form.